So how well do you know your Catholic saints? Here is a little quiz with 20 well know saints that will test your knowledge. They are all pretty unremarkable people, who decided to give their wills, their lives, and their goods to God. Their short time here on earth was rewarded with eternal bliss in heaven. Would that we the living, the Church Militant, imitate them and do the same. 1. St. _____________was born in Italy in 1815. He founded a school and a boarding home for boys, and taught them how to use a printing press. He had many lifelike spiritual dreams about heaven and hell, which he passed on to his boys. He also performed circus acts to get the boys to listen to his sermons. 2. St. _____________ bore the stigmata, in the 13th Century. He was the son of a wealthy cloth merchant. He fought in an Italian civil war, and was taken prisoner for over a year. Following his release, he renounced his wealth and lived as a beggar. He started a very famous religious order that has changed the world, even today. During the Crusades, he went to the war front and preached Christianity to the Sultan. 3. St. ____________ was born in France, in 1567. He is one of the doctors of the Church. He is best known for his strong preaching against Calvinism in Geneva, which brought many protestants back to the Catholic Church. 4. St. ___________ was born in Italy in 1880. She was a farm girl, one of 13 children. She became a nun in 1877, working at an orphanage. When it closed, Pope Leo XIII asked her to move to the US. She founded 67 institutions, including schools, hospitals, and orphanages. She became a US citizen, and was the first American citizen to be canonized a saint. 5. St. _________ was born of wealthy Spanish nobility, in 1170. His mother had a vision of him while pregnant, that showed her son to be a dog with a torch in its mouth that would set the world on fire. He was a friend of St. Francis of Assisi, and received a vision of the Blessed Mother that showed him a wreath of roses that represented the rosary. This powerful saint then spread the devotion of the Holy Rosary worldwide. During his earthly ministry, he raised 4 people from the dead. 6. St._________ was born of Roman nobility in 480. Rejecting paganism, he fled to the desert and lived in a cave, where he was fed by the ravens. He drove demons out of many places. He established an order with strict rules. His own monks tried to poison him, but he blessed the poison so that it didn’t harm him. He had the ability to read consciences and to prophecy. His order still survives today, and his medal is a strong deterrent to satan. 7. St. ________was born in Turkey, in 346. He became bishop, and had a strong ministry to the poor. Upon hearing that a poor man in his area was going to sell his three daughters as prostitutes to make money, he threw three bags of gold into the man’s window, thus saving the daughters from a life of evil. These three bags are represented today as the three balls over the pawn shop window. He raised three young boys from the dead. This saint is still very popular and well known today, all over the world. 8. Saint ____________ was born in Italy in 1515, the son of a notary. As a young layman, he taught humanities to the Dominicans. He received a vision to move to Rome, which he did, while cutting himself off from his family. There he tutored students and wrote poetry. He took care of the poor, and soon received a vision of a globe of fire that entered his chest and enlarged his heart, all the while in pure ecstasy. Becoming a priest, he heard many confessions and had the gift of knowing the penitents sins before they confessed them. Turning down the job of Cardinal, and beset by charges of heresy for having lay preachers, he died in 1595. “Cheerfulness strengthens the heart and makes us persevere in a good life. Therefore the servant of God ought always to be in good spirits." 9. St. ____________was born in Italy in 1347. She had a vision at age 6 where Jesus blessed her. Refusing her parents’ desire to marry, she became a Dominican mystic and stigmatist. Later in life, she had another vision where she was married to Jesus, and the infant Jesus presented her a wedding ring. This doctor of the Church was a counselor to two popes. 10. St____________ was born in a stable, in 1603, the son of a poor carpenter. At age 8 he received ecstatic visions from heaven. Having a hot temper, his mother continuously worked on him to overcome it. Working as a shoemaker, he applied to become a Capuchin monk, but his ecstasies caused his superiors to reject him. Finally becoming an oblate at a Franciscan monastery, his ecstasies helped him to overcome his lack of education, solving many problems for himself and others. His ecstasies also caused him to levitate while saying Mass, which caused his superiors to forbid him from saying Mass in public. He even survived being interrogated by the Inquisition. 11. St. _____________ was born in France, in 1786, to a farm family. He was ordained in 1815, overcoming a severe learning disability. Assigned to a small rural parish in the middle of nowhere, he heard confessions most of the day. He convinced the local townspeople to give up the evils of dancing and hanging out at the local tavern. He was tormented by evil spirits at night, but he overcame this through severe fasting and spending hours before the Blessed Sacrament. 12. St. _____________ was born in Scotland around the year 387. He was kidnapped and taken to another country by the pagans, where he worked as a shepherd. Alone in the mountains, he prayed constantly. After 6 years of this, he had a vision that told him to escape back to his homeland, which he did. He became a priest, and evangelized widely. He was then sent back to his slave country, where he converted the pagans. His feast day is widely celebrated around the world today. 13. St. _________ was born in Italy in 1887, to a farm family. He became a Capuchin Monk in 1910. During meditation before a crucifix in 1918, he received the stigmata. He heard confessions most of the day, with penitents having to take a number to reserve their place in line, days ahead of time. He had the gifts of beautiful aroma, bilocation, and the ability to know the sins of the penitents before they confessed them. 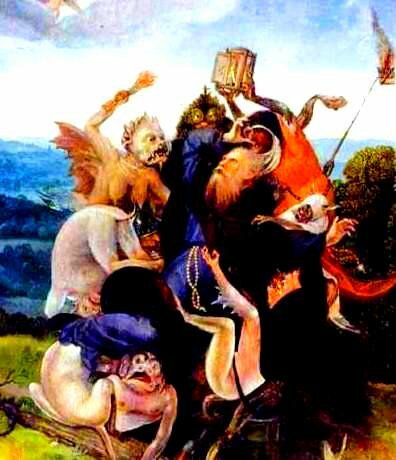 He was harassed by the devil physically and spiritually, having many evil visions, as well as physical struggles with the evil one. He said 20 or 30 rosaries a day. His masses lasted up to 3 hours, while he would go into ecstasy during the consecration. 14. St. __________was born to Spanish nobility in 1515. After being crippled as a youth, she was cured by praying to St. Joseph. After her mother died when she was 12, she began to think about the religious life, and then ran off to join the Carmelites at age 17 She then became very sick, but her heavenly visions consoled her all the while. Her legacy is that of reforming the Carmelites to make them more in line with their vows of poverty. She founded several monasteries, and is renowned for her spiritual writings. She is a doctor of the Church. 15. St. ____________ was born in Poland in 1891, to Jewish parents. By age thirteen, she had lost all interest in Judaism. She received a PhD in Philosophy at age 25. In 1922, she converted to Catholicism. She became a Carmelite nun in 1934, and became an excellent teacher. However, the Nazis forced her to resign her position. She escaped to the Netherlands, but the Nazis soon captured her and her sister, also a Catholic convert from Judaism. She was gassed by the Nazis in 1942, in Auschwitz. 16. St. _____________ was born in France in 1873, to middle class parents. Her mother died when she was only 4. She became very sick when she was 8, but was cured when a statue of the Blessed Virgin Mary smiled at her. At age 14, she received a vision of Jesus, which made it clear for her the sacrifice that had been made for her and the rest of us. This so strengthened her faith, that she appealed face to face with Pope Leo XIII to allow her to enter the Carmelite monastery early at age 15, which she did. Taking her final vows at age 17, she kept a prolific diary, outlining her little way of holiness., which is childlike trust in God and performing small daily acts of kindness with humility. She is a doctor of the Church. 17. St. ______________ was born in England in 1478. He became the Lord Chancellor of England for 3 years, a position in power second to the King. When the King asked him to swear allegiance to him and his newly found Protestantism, he refused. He was taken to the Tower of London, where he awaited his martyrdom for the faith. He was beheaded by the King in 1535. 18. St. _________________ was born in Italy in 1225. He joined the mendicant Dominicans in 1244, and was a student of St. Albert the Great. When his family found out about his attachment to the priesthood, they kidnapped him and imprisoned him. His family put a prostitute in his room, hoping he would give in to temptation, and forsake his religious vows, but he chased her out of the room with a burning ember. He was granted the gift of chastity as a result. His philosophical writings and defense of the Church are still taught in seminaries today. A renowned doctor of the Church, he received a heavenly vision before his death that revealed to him that his writings were just so much straw compared to the glory of God. 19. St. __________was born in Portugal in 1195, to a wealthy noble family. Rejecting his father’s wish for him to go and fight in the Crusades, he became a Franciscan priest. When the Franciscan martyrs who had been killed at the Crusades were brought back to his hometown, he decided to go and preach to and evangelize their murderers. When his ship was wrecked along the way, he decided to stay there and live as a hermit in a cave. 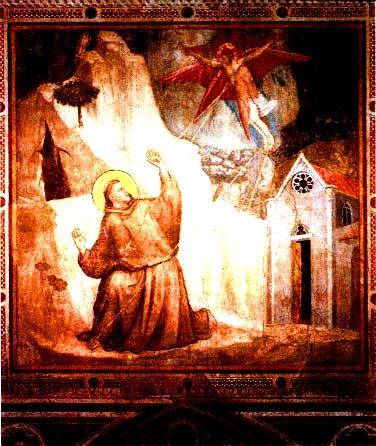 He was a friend of St. Francis, and became Francis’s best preacher, traveling all over the place giving sermons and evangelizing. He also raised a dead child. He died at age 36, and was declared a saint a year later. He is a doctor of the Church. 20. St. _____________ was born in Egypt, in 251. When his parents died, he sold everything, gave it to the poor, and moved to an abandoned fort in the desert. Although he wished to live as a hermit, many people were so impressed by him, that they came into the fort to be healed by him, and to have his spiritual counsel. 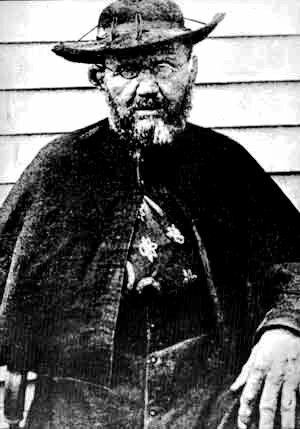 He soon founded 2 monasteries on the Nile River. At one point, he left his seclusion to go fight the Arian heresy, but he soon returned to the desert, living in a cave. He and his followers had many demonic temptations, which they overcame by prayer and fasting.